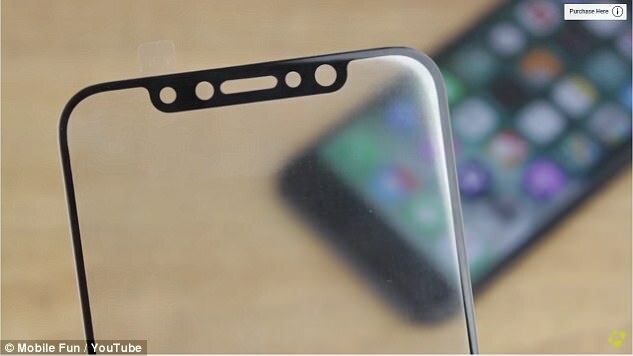 The video was shared with DailyMail.com by Mike Hart with MobileFun, who excitedly noted that the screen protector ‘gives a lot of information regarding what the latest phone will look like’. In the video, Mike showed two accessories of iPhone 8 (as showcased), the glass protector and back cover of the iPhone 8. 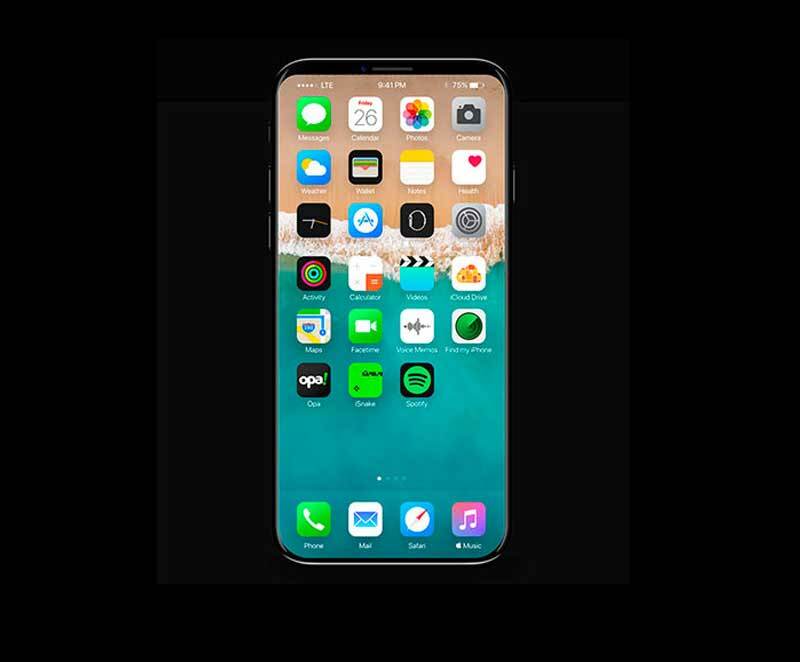 The screen protector has suggested that Apple is going for a near bezeless design and unlike its predecessors, the iPhone 8 could have a slimmer border at the top and the bottom, which points to an edge-to-edge display. This also resembles similar of what we have seen in the prototype and leaks of iPhone 8. This design means the firm has replaced the physical home button with a sensor that ‘may well end up being located underneath the screen,’ Hart said. There are also more visible cutouts towards the top, which has suggested the firm has found a new home for the front-facing camera, a speaker, and a proximity sensor and it could be equipped with facial recognition technology. 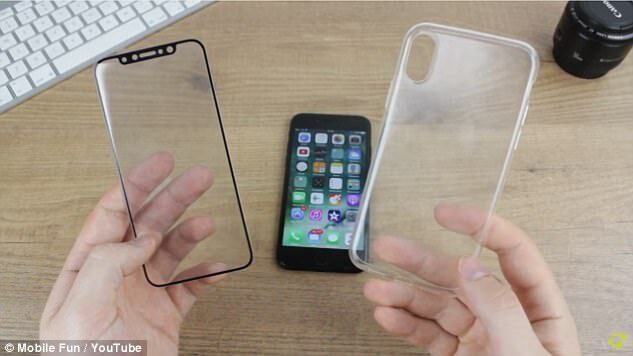 The screen protector itself measures 2.5 by 5.4 inches leaving us to believe that the iPhone 8 will feature a screen size of around 5.8 inches. Hart then brought out the Olixar case, which still boasts the iconic iPhone shape, but with a few noticeable changes. As far as the back cover is concerned, users can instantly see that the camera cutout is different – it was made for a vertical dual camera setup. The other altered feature is the power button on the side of the case, as it appears to be much larger than that of the previous iPhone. It is 2.8 inches wide by 5.7 inches tall and less than an inch thick, ‘putting it much bigger than the iPhone 7, but not as large as the 7 plus,’ explained Hart. All though the design seems to be great, but the thing can be believed till the time we hear it from the horse mouth, so the leak should be taken with pinch of salt.